Mum and Baby Yoga is tailored to suit the need of women who have recently given birth and their babies. The class is suitable to begin after your six week check up, or after ten weeks if you have had a c-section. 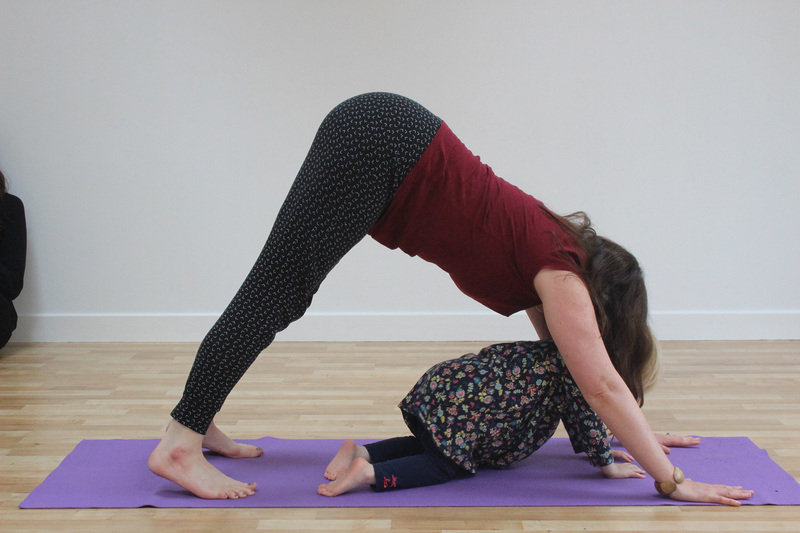 In Mum and Baby Yoga class we focus on postures that work on restoring core and pelvic floor strength, realigning the pelvis, relieving low and upper back aches and tightness and generally increasing strength, stamina and fitness. Also included are breathing and relaxation exercises that help new mums switch off and relieve stress. Most poses can be done on your own or can include your baby. There is also a section of the class that is all about engaging baby – gentle fun baby yoga stretches, songs and rhymes that will delight and excite your baby. Mum and Baby Yoga class is much more social then a regular yoga class. As well as exercising you will be coming to a stress-free haven, meeting and chatting with other new Mums who completely understand where you are at – the benefits of this can not be over-estimated. Mum and Baby Yoga classes are completely baby-led. This means you can feed, change and generally soothe your baby as and when needed. Babies cry and make noise in this class and that is perfectly normal and acceptable, so don’t worry if your baby is a little unsettled, you and your baby are always welcome. The class is suitable right up until your baby is starting to crawl at speed. Please feel free to come along 15 minutes early should you so choose, in order to feed your baby before class. You will have 15 minutes after each class to feed and/or chat and relax. The class itself is one hour long. to confirm availability or latest course start dates before making online booking. A drop in class costs €16 (space permitting).